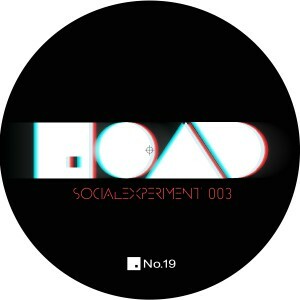 At this stage in its evolution No.19 Music should need little introduction, having taken the world by storm over the last few years with its sterling musical output and unforgettable ‘Social Experiment’ parties that have seen the label creating a storm at events such as Sonar, BPM Festival and most recently at Fabric, London. At the heart of the label’s success has been the driving force of label boss Jonny White whose passion and vision have helped shape the label into a vehicle for some of the most exciting music around. And so it is fitting that the next installment in No.19’s ‘Social Experiment’ compilation series should be brought to life by Jonny White and Kenny Glasgow AKA Art Department. We’re not going to give away too much about the album just yet, suffice to say that it will include a host of brand new material from some of the most sought after and exciting artists around. To whet your appetite however we have a very special sampler featuring two brand new tracks from Art Department and a sterling contribution from My Favorite Robot. The A side features the epic ten and a half minute ‘Insomniac’, a wonderfully rich and emotive cut that draws together warm bubbling bass, old school synths and Kenny’s haunting vocals to create a record with a truly sensual feel, sublime stuff. On the flip things get started with another highlight from the forthcoming compilation, the superb ‘Not Progress’ from fellow Toronto artist My Favorite Robot. The MFR boys deliver a deep & melancholic yet blissfully emotive track that features their trademark vocals over a richly produced backing that perfectly hits the mark. To close the package Switzerland’s Gregorythme offers up the excellent ‘Artificial Tears’, a deep and emotive track that is a perfect final piece on this stunning sampler.